God uses the local church as a powerful instrument for a believer’s spiritual growth and maturity. The early church was a simple model where believers came together to hear the Word taught, to pray together, to take communion and to fellowship. The early church was an exciting place of love, power, fruitfulness and where Jesus was all-sufficient. Like the early church, our local churches today should be a place where we can grow in our relationship with the Lord. However, today, especially in western culture, where we have a lot of things in the church that may or may not be wrong in and of themselves, but when we expect them to be a part of our church or use them as a premise and motivation in choosing a church, these expectations can actually be sabotaging our own spiritual growth. Here are some things to think about if you have been expecting too much from your church and thus sabotaging your spiritual growth. A church is a body of imperfect people worshiping a perfect God. No one has arrived, and we are all at different places in our walks. We fight against the flesh and our selfish desires constantly; therefore imperfection is the norm not perfection. We won’t always be treated as we’d like to be, and the Bible gives us ways to deal with those things. It’s more about direction than it is perfection. 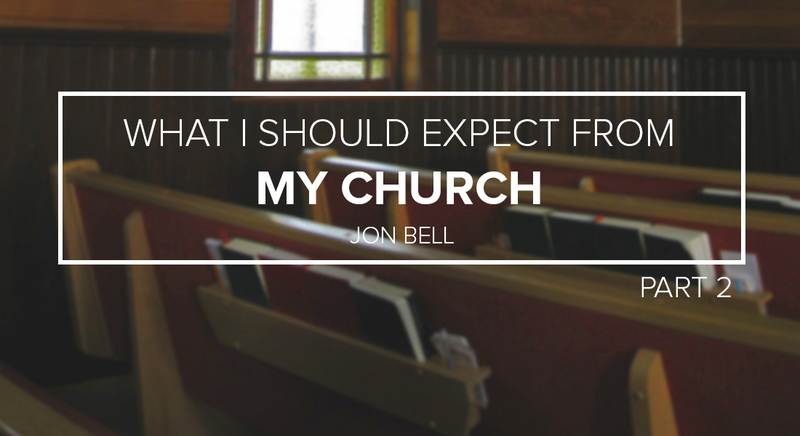 Don’t expect your church to be perfect. The church is a living organism. It is always changing, and we shouldn’t expect to hold on to “the way it used to be” or “the way things were.” Change is good and keeps us from worshiping “relicts to the past” or making idols of things that are not of God. Change can flush out some of our false motives and old “wineskin” tendencies. Don’t expect your church to stay the same. At the root of our sin nature is selfishness. This can manifest itself in a church when we have our own agenda, when we don’t get to do what we want to do or when things are different than what we like. One of the great benefits of a church is that it teaches us to submit our way to the Lord's way and to trust the Lord. When we don’t get our way, it’s a chance to exercise our faith and die to ourselves, which helps us grow in God’s ways. Don’t expect to always get your way in church. A church body is like a family. We live in close connection with each other, and we serve the Lord together. It’s inevitable that we will be offended or get our feelings hurt as well, as there is a good probability we will also hurt someone else’s feelings. Not to mention, we may and at times should be offended by the pastor’s sermon as Jesus offended many people by proclaiming truth. This is a great opportunity to exercise grace toward others. Don’t expect to not be offended in your church. It’s not the job of the church to entertain us. The job of the church is to feed us (spiritually). When I expect the church to be an entertainment center, I may have missed what my real need is as a spiritually bankrupt sinner. There is nothing wrong with having fun and having a good time, of course, but I shouldn’t expect my church to provide that nor should I evaluate the church on how well they entertain me. Don’t expect your church to entertain you. I shouldn’t gauge spiritual prosperity with material prosperity. Jesus wasn’t rich; the disciples weren’t rich, and the early church wasn’t rich. If God blesses the church with riches, then those riches can be used to further God’s kingdom, not to build a gaudy empire on earth. When we equate all the “bells and whistles” with the legitimacy of a church, we are left missing the immeasurable realization in the power of the Holy Spirit. Don’t expect your church to be wealthy. The church is to be driven by and empowered by the Holy Spirit. When I expect my church to have programs to meet all my needs, it can often be a substitute for the Holy Spirit. The early church focused on prayer, doctrine, breaking of bread and fellowship. It was a simple model. They had all they needed to change the world, and we do too. Don’t expect your church to have all the programs you want. The church is not a political institution but a spiritual one that is to preach the gospel and make disciples of all men and women and then teach them to follow the Lord. When I expect my church to push political agendas and be involved politically beyond clear biblical issues and with a clear biblical approach, then my expectations aren’t right. As individuals we can pray and follow the Lord as He leads us in politics, but that is not the role of the church. Don’t expect your church to push your political agenda. A church is to be a place of sanctification, not comfort and ease. We have peace in the Holy Spirit always, but we should not expect the church to be a place where we value comfort and ease. The church should be a place where we value being stretched in our faith and a place where we will be able to go beyond the boundaries of our comfort. Don’t expect your church to be comfortable or easy. The church that is honoring the Lord, led by the Spirit, filled with love, proclaiming the gospel and standing on truth is a place where Satan will attack. We are to use our spiritual weapons of warfare and engage in this conflict, understanding that when the Lord opens a door, there are many adversaries. Don’t expect your church to be conflict free. The church is not a place where I should expect the "professionals" to do the ministry as I watch them. A church is a “body of believers” like the human body, made up of many parts, and all parts are to be involved. All believers have been given spiritual gifts to be used within the body of Christ to build the body. My expectation as a believer is to participate in the church, not spectate. Each Christian must be personally responsible for their own relationship with Jesus. No one can substitute for that. Don’t expect your church to be a place where you merely watch others exercise their gifts. Jesus is the only one that can meet all our needs. I should not expect the church to do that. When I feel something lacking, I can go to Jesus Himself. The church is not a substitute for Jesus Himself. Don’t expect your church to meet all your needs. 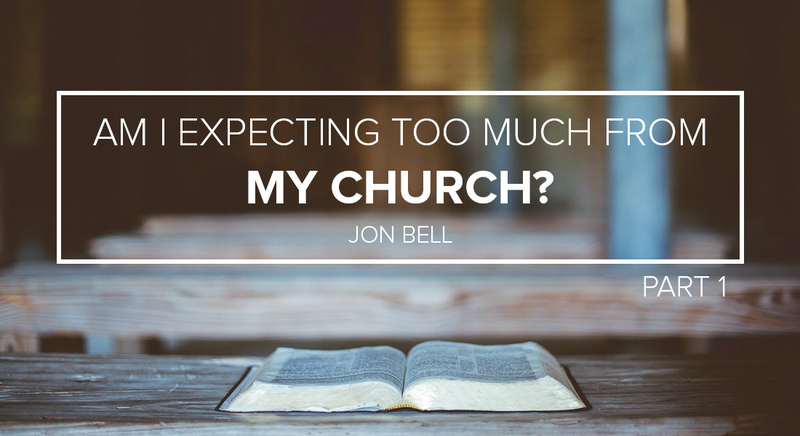 Pastor Jon Bell is the founding pastor of Calvary Chapel Flower Mound. 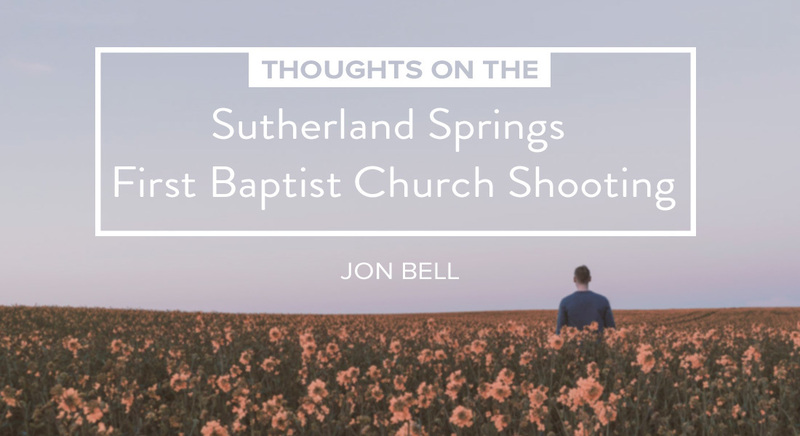 In addition to being a pastor, Jon Bell also serves as a chaplain to the Flower Mound Police Department.